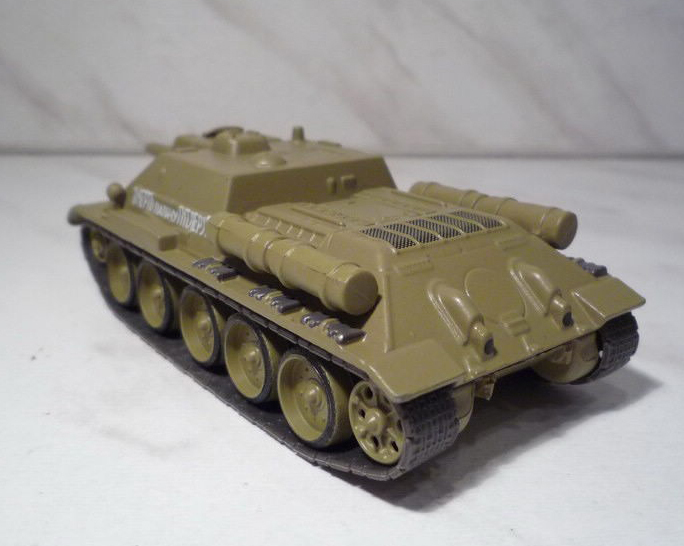 SU-122 - the average weight of Soviet self-propelled artillery gun (SAU) class assault guns (with some limited could be used as a self-propelled howitzer), based on the T-34. This vehicle has become one of the first developed in the USSR self-propelled artillery made in large-scale production. SU-122 was put into production in December 1942. In the course of his vehicle was subjected to numerous revisions, related to its hasty adoption of the armed forces. 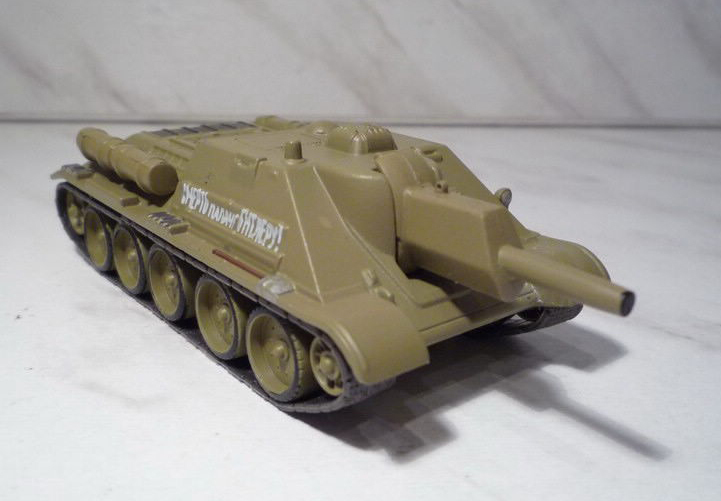 Issue SU-122 was discontinued in August 1943 due to transition to the production of tank destroyers SU-85, established on the basis of the SU-122. There were constructed 638 self-propelled guns of this type. SU-122 appeared on the front in early February 1943. 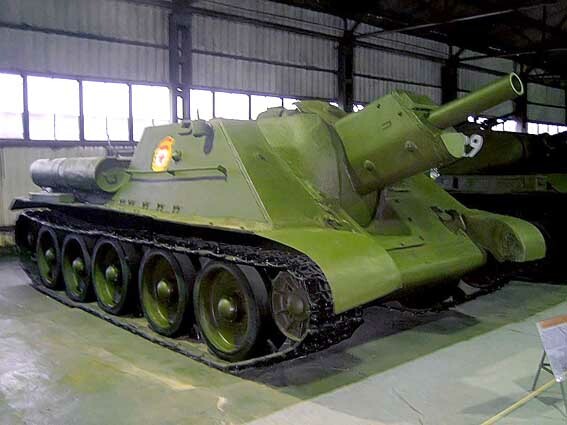 Most widely SU-122 used in offensive campaigns of the second half of 1943, but after removal from the production of this self-propelled gun is actively and successfully used in combat until the end of World War II.